Being one of those people who are involve of real estate marketing or works, it is a must to be updated, advance as possible in all aspects and topics in the city, be alert in all of public laws and even the national laws in terms of real estate enhancements. It is now a mandatory for every body to be a Professional Real Estate Person, in all dealings. With these topic, Real Estate Brokerage Practice, by Edgar Paolo Gorospe from 6:00 pm- 9:00 pm. All of us where once again reviewed with the thoughts and ideas of what the realty and our functions should be as sales persons, under our licensed broker. 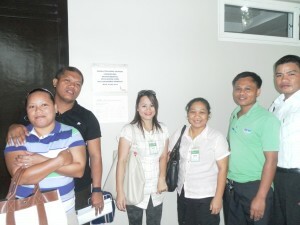 This is the 2nd day for the CPE, and the speaker was Atty. Leo Paolo Perez, with the two topics- Fundamentals of Property Ownership and the Real Estate Service Act / (RESA). These were about the national/ public laws, that all of us in the business must take into consideration upon dealing with this kind of work. These are not just laws, but must be observed, in order for all of our transaction is done accordingly and lawfully. The session ended at 3:00 pm. The last day of the said CPE seminar and we started at 1.00 pm with Business Communication topic by Professor Ramon Abrera. He is teaching in Liceo de Cagayan University. He made the lousy afternoon to its total awakening demonstrations and catchy illustrations. He made it well and made the afternoon fully GAY, and that meaningful with all the communication strategies in dealing with not only- CLIENTS in the business, but to everybody and to everyone we meet. We ended up this day topic at 3:00 pm, and then followed by Personality Development by CRB. Mequesa Marie Chan. With this, she reviewed us of our every strength, which must be affirmed and improved, and not to be weakened by our weaknesses. We ended these 12 total units of Continuing Professional Education on this day, at 5:00 in the afternoon. 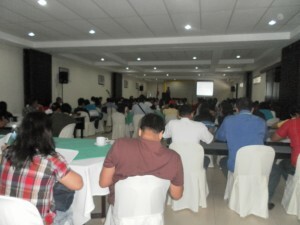 The said seminar was only for P1, 000.00 as registration. With its covered topics for the said sessions, it is enough to comply all of the requirements for Sales Persons’ Licensing. It is the major requirements of the said licensing to be which will end up to this July 30, 2011 for all Real Estate Sales Persons. The CREBA is will be the one to assist us for the application for this licensing. We are still waiting for the PRC’s Guidelines to comply all of our requirements and for the next steps to do. From us in RPM Realty/ CDO Realty people, who joined the said seminar, thank you for all CREBA staff, for making the CPE Seminar well- done and for making the process easier for all of us. See you all for the next Continuing Professional Education!